I had the pleasure of catching up with T.M. Souders a while ago and it was a joy to get to know more about the woman behind, Waiting on Hope. I must admit the story took me in a direction I couldn't have foreseen and was difficult to read at times. Even so, I'm so glad I continued reading because I got to know some wonderful characters and witnessed one miracle after another unfolding in the lives of many characters in the book. However, I won't continue sharing my thoughts about Waiting on Hope since I want to focus on its author but, if you are interested in reading the review I did of Waiting on Hope, click here. Indulge me for a few minutes while I share with you what T.M. Souders shared with me. T.M Souders: Being an author means so much more to me than just writing and publishing my work. I truly want to interact with my readers. I love to hear from people who read my work, and I don't want to disappoint them. There's a sense of dedication to them - to provide great books and hopefully earn their loyalty. T.M Souders: Growing up, I've always created dialogue and scenes in my head. At the time though, I don't think I realized what I was doing. I just looked at it like I was talking to myself and acting out scenarios. I didn't get serious about writing though until my last year in college. I wrote on and off for several years, but when I had my son (26 at the time) was when I truly dedicated myself to writing. I knew then that this is what I was going to do. No matter what I was going to make it happen. T.M Souders: It took me three months to write Waiting On Hope. Then I went on to edit and publish. Boy, were there frustrating moments!! Some days during the writing process, I thought I'd never finish. There are days when writing is so easy, it comes so naturally. And then there are days where it's like pulling teeth - these days make it hard not to get discouraged! But I just keep on plugging and write through the hard days. T.M Souders: Yes. I'm writing a YA-crossover novel, titled Freedom Road. 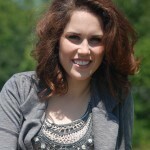 After a tragic accident, which causes her mother to lose her baby and fertility, Samantha Becker's life changes forever! Essentially abandoned by those she loves, ten years later, her mother is an alcoholic on the verge of killing herself with the bottle, and her father is a tyrant, willing to do anything to keep Sam under his wing to work in the family business. Sam, however, has a dream she is forced to hide - Julliard. Budden: Freedom Road sounds fascinating and I'd love to know when it's available to readers. I am curious, though, about whether you've published other works and, if so, which book was your favorite. Waiting On Hope because it was my first published work, and I, truly, fell in love with the story. T.M Souders: I don't know that I'd necessarily consider her my "inspiration," but my mother has totally been my rock through all of my writing and publishing woes. She, by far, has been my biggest supporter. She's the one who inspires me to shoot for the moon. T.M Souders: My ultimate dream is just for readers to, quite simply, love my books and anticipate future works. I want to evoke emotion and leave them thinking about the novel and/or characters after they've read them. T.M Souders: This is one of my favorites (from Waiting On Hope). The quote is in regards to the main character, Lexie, not wanting to make a promise. "Because among the assurance belies a certainty, which carries with it the measure of impossibility, because a promise is a guarantee." T.M Souders: Three hobbies...yikes. Writing and reading. Honestly, these days I have almost no extra time, so other than spending time with family, that about sums it up. Also, you can catch up with T.M. Souders at either of the following places: T.M. Souders.com and Cheap Kindle Daily. If you are into social networking sites, feel free to check her out on Twitter, Facebook, Goodreads, Google +, Shelfari and Linked In. Budden's closing thoughts: T.M. Souders, I'm so glad you persevered through the hard days of writing Waiting on Hope. It's a story I couldn't imagine not having read; it is so rich and the story is certainly memorable, just as you had hoped.